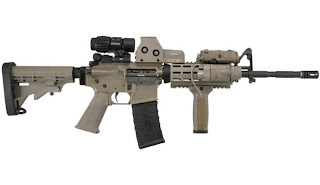 Simple Facts and Plain Arguments: 4 Myths About "Assault Rifles"
Myth #1: Guns like this AR-15 are called "assault-rifles." The reality: They're not. They're called "modern sporting rifles," or just simply "rifles." Whether out of deviousness or ignorance, the media and politicians have persisted in their use of the term, "assault rifle." The use of this term makes people associate the military-style, fully-automatic machine guns they see spraying death and destruction in Hollywood with what's in their neighbor's gun closet/safe. Despite there being around 150 million gun owners in America, only an infinitesimal amount actually possess fully-automatic "assault rifles" as you see in the movies. The only similarity these guns share is their looks. A real "assault rifle" must have a select-fire switch capable of switching between full-auto, burst-fire, and single-shot. This is what is carried by (some) of our troops and more militarized police forces. With these guns, when you pull the trigger the gun will fire until you let go of the trigger or the gun is out of ammo. When watching this video, keep in mind that on full-auto, a 30-round magazine is gone in about 4 seconds. Highly regulated. I'll get into this later. Extremely expensive. You probably aren't going to get one without spending thousands of dollars, with many automatics selling in the $15,000-$20,000 range. Compare this to semi-automatic, which is what the vast majority of firearms sold in the US are. Semi-auto means that every time you pull the trigger, the gun fires one bullet. If you hold the trigger down on a semi-automatic, nothing will happen after the first shot. Myth #2: Banning private ownership of these assault... err... modern sporting rifles will make the public significantly safer. The reality: According to the FBI, of the 12,664 murders committed in 2011, only 323 of them involved "rifles." This is actually a decrease (of 35) from 2010 levels, according to the chart below. So contrary to what the politicians and media are trying to push, banning semi-auto "assault rifles" would not significantly decrease violent crime. In fact, crime would probably increase. 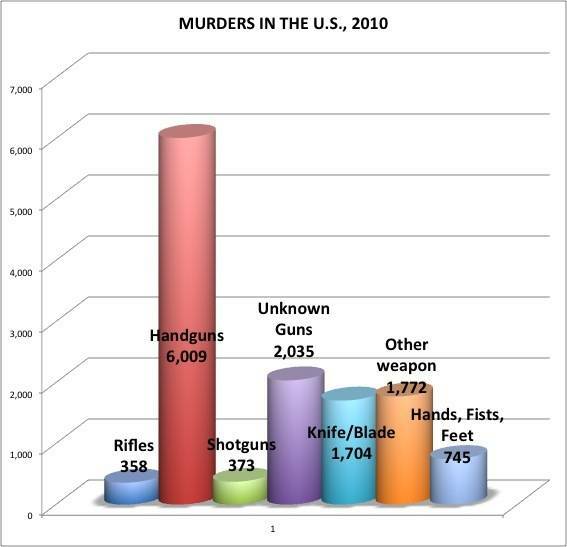 You might be surprised that you are more likely to be killed with hands, fists, feet, or a knife than the scary-looking "assault" rifles that every gun control advocate claims are "made for killing." If you're looking for an inanimate object to blame for murders, handguns should be your choice. Just remember that just about everywhere handgun bans have been enacted in this country, violent crime has skyrocketed. Myth #3: Banning magazines over a certain size will lower gun crime. The reality: Magazine limits are completely arbitrary. If someone's going to go postal, it won't make a difference whether they have a 100-round drum mag or a 6-round revolver. What's to stop these people from just bringing a second or third gun (as we saw at gun free zones Columbine, Virginia Tech, Aurora, and Sandy Hook) or multiple magazines and simply reloading, as Christopher Dorner most likely did? It's also illogical to assume, as proponents of magazine limits do, that a magazine has to be loaded to its full capacity for the gun to function. Often the opposite is true. 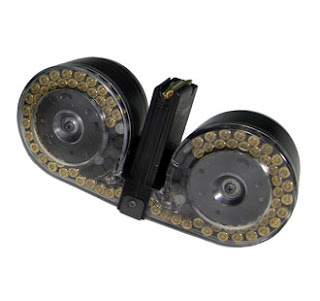 In many guns, fully-loading the magazine will increase the chances of a misfire or jam; due to the pressure on the magazine spring it may attempt to force two bullets into the chamber at the same time. Note: While magazine limits don't specifically impact only rifles, they generally impact rifles more than other weapons. On another side note, police officers are often armed with pistols capable of carrying 18-20 rounds. 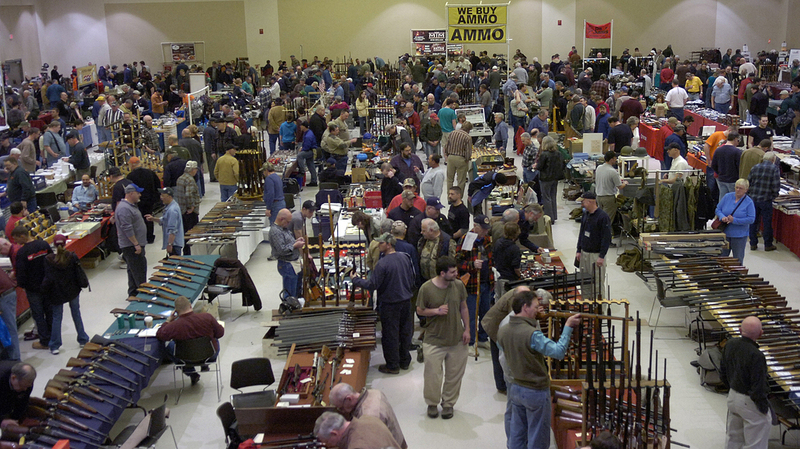 Myth #4: You don't need a background check to buy these "assault weapons," especially at gun shows. The reality: When buying a gun from ANY gun dealer, even at those guns shows that are falsely accused of almost handing away guns, it is required by law for the dealer to run a background check on the customer. Now, if we're talking actual "assault rifles," as I defined in Myth #1, it becomes even harder. To possess a fully automatic firearm, one must apply for a Class III Federal Firearms License, provided their state even allows Class III firearms. To apply, one must pay a $200 fee, go through extensive background checks, fingerprinting, and investigation by the ATF and FBI, designate a federally-licensed firearms dealer to take possession of the gun if/when you die, then wait 6 months to finally be approved. Also, you cannot buy a gun that was manufactured after 1986. 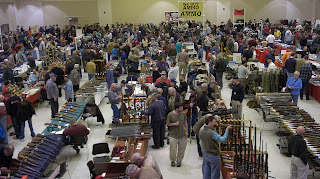 Americans own approximately 1000 non-automatic guns for every automatic gun. 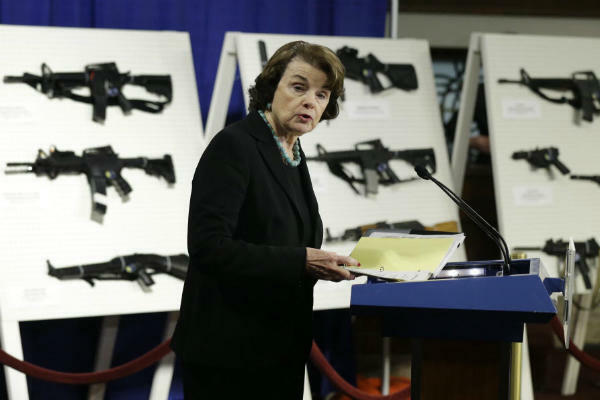 In 1995, there were some 240,000 fully-automatic weapons in private, legal possession. Yet, since 1934, there have been only two homicides committed with legally-owned fully-automatic weapons. What these "assault weapons" bans do is criminalize legitimate sporting rifles that aren't any more lethal than any other available guns. They don't make us any safer, they're just bans on inanimate objects that are too scary-looking. That's all. I detest the term "Assault Rifle" when applied to semi automatic weapons with a military facade (i.e. scary looking). I am also adverse to the term "modern sporting rifle" (makes them sound like an x-box game). I prefer the Department of Homeland Security's term used in their latest acquisition of 7,000 PERSONAL DEFENSE WEAPON. Assault is a noun and a verb. You can't use it as an adjective. Since 1934 there have only been two homicides committed with fully automatic weapons? I find this extremely hard to believe. Legally owned fully automatic weapons, I should say. Good catch.